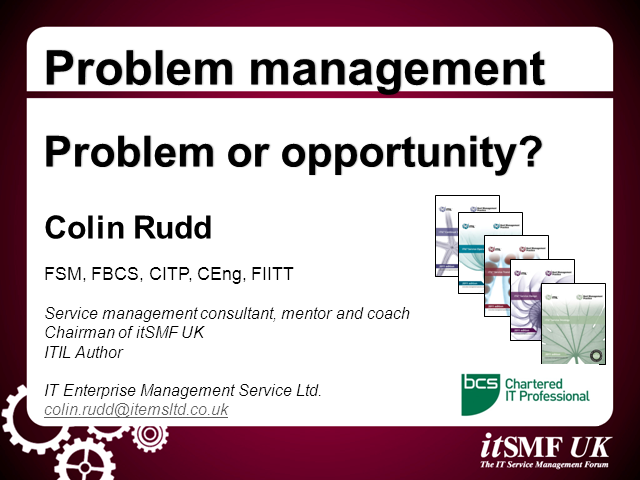 Problem Management: Problem or Opportunity? Problem management is a process that many organisations struggle to implement effectively. This session looks at the challenges and pitfalls in implementing a successful problem management process and provides guidance on how they can be overcomed. Title: Problem Management: Problem or Opportunity?